Ross was done no favors by his defense, which committed four errors in the game. That being said, he didn't help his own cause by serving up two homers in the start. Ross now has a 3.38 ERA, 1.25 WHIP, and 17 strikeouts in 24 innings. It's a nice comeback story after several injuries but his strikeout numbers are down from his heyday as a member of the Padres. It was a below average effort from the veteran. He struggled with his control as he threw just 58 of his 92 pitches for strikes. Ross has made three starts for the Tigers this season, compiling a 1-2 record, 3.50 ERA, 1.28 WHIP, and 15 strikeouts in 18 innings. He's on the map as a fantasy streamer in good matchups. Ross looked like the 2015 version of himself before his career was waylayed by injuries. The veteran starter now has a 1-1 record, 2.25 ERA, and 12 strikeouts in 12 innings of work. Fantasy owners in need of a starting pitcher should be taking note. He will square off against the Twins in his next start. Ross had trouble keeping the ball in the park as he allowed homers to Gary Sanchez and Brett Gardner. The veteran right-hander has mostly struggled since getting injured back in 2016. 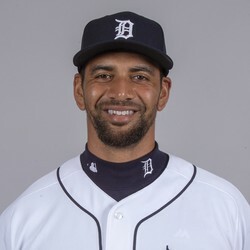 The Detroit Tigers signed RHP Tyson Ross to a one-year contract with an invitation to Spring Training. He will likely compete for a starting rotation spot, but very well could end up in the Tigers' bullpen. Ross gets a one-year deal to prove he's got something left in the tank. Last season, he struggled with a 4.45 ERA in 22 starts for San Diego, but eventually was traded to St. Louis, where he revived his season in the bullpen, posting a 2.73 ERA in 26.1 innings. If Ross can pick up where he left off, he could become a viable fantasy option.